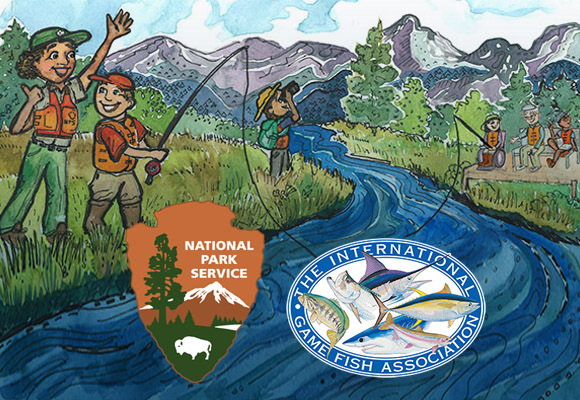 The IGFA and the National Parks Service (NPS) have recently partnered on an exciting new initiative to teach kids to fish at National Parks throughout the southeastern United States. Over the next year, the IGFA will implement its Passports to Fishing program - a hands-on introduction to recreational fishing and ethical angling practices - at five parks across the southeastern United States for the National Park Service’s Junior Ranger Anglers. In its first year, the program anticipates reaching at least 6,000 Junior Rangers and their families; reconnecting kids with the great outdoors and providing hands-on clinics on ethical angling practices.